Adventure awaits on the high seas for this pirate crew! Tommy Montgomery loved everything there was to love about pirates! "Treasure first and friends forever!" was the motto he knew and tried to live by. All Tommy wanted was to be a pirate, and one day he decided it was time for an adventure! So he snuck on The Pirate's Revenge and headed for the high seas. Children can follow along and reenact their favorite scenes in this storybook and playset! 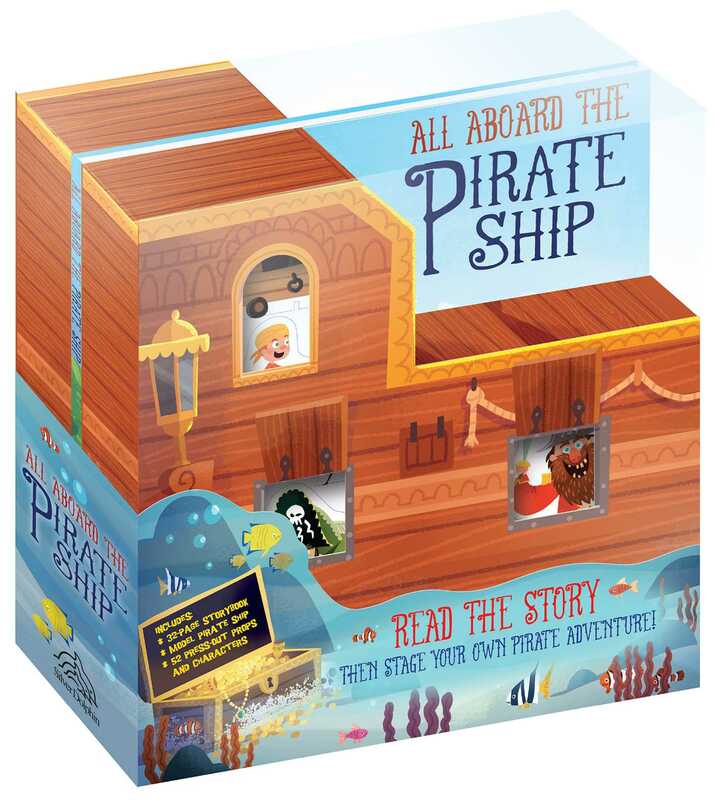 The large, foldout model becomes the inside of a pirate ship so children can play as they read along and find out if Tommy has what it takes to become a real-life pirate! Andrea Castellani was born in Firenze, Italy in 1975. As well as being an illustrator of children's books, he is founder of an animation studio.